That is all from Sportsday for this evening. We will leave you with the football and snooker. Enjoy. We will return tomorrow for another busy day of rolling sports news from 08:00 BST. Thank you and good night. tonight's game with Liverpool: "You hope your home form can stack up and since Christmas it has. We've given ourselves a great chance but we're still right in the thick of it. "When you play against a big team, you've got to defend well. We did that against pace against Palace, so let's hope for more of the same. I'm quietly confident, starting with Liverpool, we can get enough points at home to keep us up," he added. a game that is key to both clubs in their respective battles to qualify for the Champions League and avoid relegation. Reds boss Brendan Rodgers has had this to say: "Manchester United have a clear advantage [seven points having played a game more] but we can only affect that by winning our games. We need to do that starting at Hull. Man United play West Brom at the weekend and we've seen how difficult it is to play against Tony Pulis' team. "We can only focus on ourselves. Last year showed that lots of changes can take place in the final five matches. We have a tough game away at Hull but the idea is to get the victory and apply as much pressure as we can to the teams above," he stressed. 2006 Scottish Cup final as a third-tier club (resulting in qualification for the Uefa Cup) from 2005 to 2007.
resigned from the Scottish league in June 2008.
he still has what it takes to get back to the top in golf. The 46-year-old has struggled with injury in the past two years and has dropped to 334 in the latest rankings. "I've still got the desire, I still want to win," he told BBC Scotland. "I feel I can get back in the top 50, I don't see why not." back on track under current boss Garry Monk. Matt Farnham: When is the Premier League going to stop the escalating prices? Oh they wont because they don't care. Its all about the money. Marcel: The only option is for all the fans to stop going to the stadiums for a month or so. Let the clubs bleed & see what they'll do. Christian Benteke's agent says there has no been interest in his client and that the in-form Belgium striker is only focused on his Aston Villa career. Benteke has been in sparkling form since Tim Sherwood became Villa manager in February, scoring nine goals in his last eight appearances after managing only three until then for previous boss Paul Lambert. That form has led to speculation that Liverpool and Manchester United might make a bid for the frontman. But Benteke's agent Eris Kismet told Sky Sports News: "At the moment, there is no interest. Every player and staff member is concentrated on avoiding relegation, anything else is just a distraction." Fleetwood Town, who have enjoyed a momentous Bournemouth-style rise of their own (going from North West Counties to League One in a decade), have announced a "partnership" with Uzbekistan Premier League side Lokomotiv Tashkent. Blackpool Gazette, could see Uzbek players visiting the UK to train with Fleetwood - and vice versa. Fleetwood are expected to travel to Tashkent on a pre-season tour next summer. only founded 13 years ago and, until 2010, were playing as amateurs in the third tier of Bulgarian football. In 2010, their spectacular ascent began with promotion to the professional second division, after which they were bought by pharmaceutical multi-millionaire Kiril Domuschiev, who had business interests in the city. A squad overhaul and two successive promotions set them up for the truly remarkable - winning the league, Cup and Supercup to become only the second team in world football - after Estonia's FC Levadia Tallinn - to win a domestic treble at the first attempt. amazing penalty shoot-out win over Steaua Bucharest, which saw defender Cosmin Moti save two spot-kicks after keeper Vladislav Stoyanov was sent off in the final minute of extra time. Willie Mullins horse Felix Yonger, ridden by Danny Mullins has won the feature race, the Champions Chase, at Punchestown. The 5-1 shout chased down Baily Green (40-1) on the final stretch to claim a narrow victory. All of today's results can be found on our horse racing pages. yodelling before Tuesday's afternoon session at the World Snooker Championship. Bjorn, who is a professional yodeller, approached announcer Rob Walker and asked if he could entertain the crowd before play began. Watch the World Snooker Championship live on the BBC. lead 5-3 after the afternoon session. On the other table, it is Barry Hawkins 3-3 Neil Robertson. You can follow the snooker online. "The story is true [about the club being five minutes from doom before Mostyn came forward]. Every word of it. I remember vividly. The club did not have enough money and as I stood up to talk to the press, Jeff got out his chequebook and started waving it at the room and saved them from extinction. I think every neutral fan will have a smile on his face, believing the dream can happen. All credit to the new owner and to Eddie Howe." Norwich boss Alex Neil is set to do former club Hamilton a favour this summer by sending a batch of his best youngsters north on loan. Neil quit Scotland in January to take over at Carrow Road, leaving best friend Martin Canning to take over the reins at New Douglas Park. Neil - who hopes to lead Norwich to the Premier League through the play-offs - said: "I would have absolutely no issue about sending some of our young lads up there to get first-team football if I felt they could do a job for Hamilton. "It's certainly something that is a possibility for next year and I'm sure Martin and I will sit down and talk about it at some stage." Kenny Jackett's men, eighth in the Championship, are two points outside the play-off places and must win their final game at home against Millwall to stand any chance of going up. "We've made it interesting going into the last game," Stearman told BBC WM. "We're going to continue to fight and we're in with a chance, so we're happy with that." left Gateshead to become the new manager of Wrexham. The Dragons sacked their previous boss Kevin Wilkin in March. Mills, 53, took over Gateshead in September 2013. He led the club to third in the Conference in 2013-14 and lost the play-off final 2-1 to Cambridge United. Champions League semi-final first leg against Juventus. The forward, 25, has been out for 10 days with a calf injury but is expected to resume full training this week. The Welshman hopes to play a part in Saturday's La Liga match at Sevilla. "Gareth is doing work on his own and will do the same tomorrow," Real coach Carlo Ancelotti said on Tuesday. "If all goes well, then he will begin to train with the team again on Thursday." We will have a live text commentary on that game on Tuesday from 19:00 BST. German Cup semi-final against Borussia Dortmund. Winger Robben (stomach) and defender Mehdi Benatia (groin), will be assessed before the game for Bayern, rested players for Saturday's 1-0 win over Hertha Berlin, which sealed their third consecutive Bundesliga title. Paul Hansen: Bayern Munich SEASON ticket £109! Nuff said. BenPharoah: I agree with the protest but it should be aimed at all clubs. L'pool charged newcastle fans £45 for restricted view recently. Big Brenny: If you own a club and the ground is full every week, why would you consider lowering the ticket prices? Answer, you wouldn't. We've heard the views of Brendan Rodgers on tonight's £50 away ticket price for Hull City v Liverpool. Hull boss Steve Bruce has also expressed sympathy with those Liverpool fans feeling hard done by. "I feel sorry for the supporters of big clubs who have to dig deep every week and I hope when the new TV money comes into play the Premier League can remember football does belong to supporters," said Bruce. "I know how difficult it is for people here at our club to find the money to bring their two kids to a football match and we have to make sure with all the money washing around we give something back to the fans. "We have to remember the average man in the street because they are the lifeblood of football and I think if the Premier League set certain rules we would all have to abide by them." Chelsea are monitoring Antoine Griezmann's situation at Atletico Madrid because a buy-out clause of just £43m could leave the Spanish club helpless to stop the 24-year-old midfielder leaving. Manchester United are reportedly eyeing a transfer swap deal that would see striker Javier Hernandez leave the club in exchange for Dinamo Moscow midfielder Roman Zobnin, 21, and £5.7m. Tottenham are still in the market to sign Sassuolo's Italian forward Simone Zaza, 23, and have been given fresh hope they can clinch his signature after his agent said they will discuss his future at the end of the season. "The hosts have moved to 105-2 at tea, still needing another 157 to win. Openers Keaton Jennings and Mark Stoneman put on 80 before Stoneman went lbw to Ajmal Shahzad for 41. Four overs later Jennings edged the same bowler behind when on 38. "There are still 32 overs to go tonight but Durham don't seem to be in any rush and have to bat if needed. "Sussex will probably feel 262 will not be enough to defend, but you just never know." Joe Denly's half-century led Kent's recovery at Old Trafford despite the visitors losing Daniel Bell-Drummond for only 18. The 29-year-old shared a 72-run second-wicket partnership with captain Robert Key before the latter was bowled by Peter Siddle for 32. Kent reached 128-2 at tea and still trail by 64 runs but Denly and Brendan Nash will aim to help the visitors avoid an innings defeat to Lancashire. Tom Sargent: If it makes the @LFC fans feel better: @HullCity fans get charged £50 as well. Who's really being ripped off? Dan Shelbourne: £nough is £nough. Nathan Taylor: Football wouldn't be what it is today without the fans, so why are they overcharging and making it hard for fans! Essex piled up a lead of 270 before declaring at tea following 17-year-old Dan Lawrence's maiden Championship century. He made 161 before being caught behind off spinner Zafar Ansari, who took 4-149. Graham Napier then slammed three sixes and nine fours in his 73 off 62 balls in a stand of 116 with Greg Smith (50 not out) as they reached 610-8. Heard the one about the cricketing superstar getting lost on a train? After Surrey's County Championship fixture with Essex on Monday afternoon, Kevin Pietersen left the Kia Oval and tweeted that public transport was a "great way to travel". But after a series of frantic tweets, the 34-year-old batsman was left "stranded" in Wraysbury, Middlesex and had to be rescued by his wife. Read more and see those tweets here. David Willey celebrated his inclusion in England one-day squad to face Ireland with an unbeaten 66 against Leicestershire at Grace Road. The left-hander struck 12 fours and shared an eighth-wicket partnership of 97 in 11.5 overs with South African Rory Kleinveldt, who made 56. The visitors reached tea on 371-8, a lead of 317, with Leicestershire now facing an uphill task to achieve their first Championship win since 2012. "Middlesex fought back hard in the afternoon session to leave Somerset 211-5 at tea on the third day and in danger of another collapse. "That is however a lead of 302 and the hosts are one more decent partnership away from setting a formidable target. "The pitch continues to play well, which offers the visitors hope for the eventual chase but first-innings centurion, James Hildreth, remains in their way, unbeaten on 41." "Gloucestershire handled the first part of the afternoon session well, with Gareth Roderick and Will Tavare looking secure. "However, it ended badly for the home side however, with Tavare given out lbw and then Roderick caught from an attempted pull on 75. "In between, Peter Handscomb was caught behind and the home side remain 114 short of making Derbyshire bat again." Hot favourite Ronnie O'Sullivan isn't having things all his own way at the start of his World Snooker Championship quarter-final with Stuart Bingham. The pair are locked at 2-2, with the Rocket - who has, so far, kept both shoes on and not made any rude gestures - having to work hard against a very solid-looking Bingham. On the other table, Australia's Neil Robertson leads Barry Hawkins 2-1. German Cup last four tonight. The game also represents Jurgen Klopp's last chance to claim some silverware before he leaves the club in the summer. We will have a live text commentary of that game this evening from around 19:00 BST. GET INVOLVED: What is a fair away ticket price? Andrew Brookes: £50 is a lot to pay for an away ticket. Think you have to get up there, some people have to pay for hotels. It's not on. Thomas Carvill: The Football Association should be doing more to curb the vicious financial cycle that will ruin football. £20, no more. David Broome: Cap ticket prices. Huge TV revenue is only possible now because of the priced out, loyal working class support, in hard times. Claudio Beauvue looks to be on the move after Guingamp's top scorer announced he will leave the club in the summer. The 27-year-old striker has been linkedwith a move to the Premier League, with Everton and West Ham thought to be interested. Speaking to radio station RMC, Beauvue - who has hit 18 goals this season, including five in the Europa League - said: "The deal I had with the club president was that I would leave in the event of a beautiful season. "The season has been very beautiful, so it is sure that I will be playing my football elsewhere next season ... and it is true though that I am very attracted to the Premier League." Did you know Bournemouth holds the record for the most people to shower simultaneously at a single venue? Well you do now. Happened in 2011 apparently, when 152 plucky men and women gathered under a giant shower purpose-built specially for the occasion. It's part of a BBC article called 'Ten Bournemouth facts football fans might not know', to celebrate the club's remarkable rise to the Premier League. Couple of others... the writer Mary Shelley, best known for her novel Frankenstein, is buried at St Peter's Church in the resort, while Bournemouth is said to be the first place in the UK to have purpose-built beach huts, built in 1909. "Boyd Rankin's ability to find bounce and pace on a slowish, flat wicket has kept Warwickshire with the upper hand. "A six-wicket haul earned a first innings lead of 132, despite a patient captain's hand of 96 from Andrew Gale for the home side. "The initiative is now with the Bears to gain a large enough lead to put Yorkshire under pressure on the final day." Manchester United will play Barcelona during a four-match tour of the United States this summer. Louis van Gaal's men will also face Paris St Germain, Club America and San Jose Earthquakes during the pre-season trip. The fixtures will be part of the International Champions Cup, a tournament United won last year. Mexico City-based Club America will be the first opponents at Seattle's CenturyLink Field on 17 July. The 10-team International Champions Cup, which also features Chelsea, will be decided via a league format with each club playing four matches. With just 27,000 inhabitants (making it the smallest population for any catchment area with a professional football team in Spain's top two divisions), the Basque town of Eibar has no right to expect a football team amongst the elite. But that is exactly what they have got, and deservedly so. In 2013-14, they overcame the odds and a host of clubs whose budget dwarfs their own to achieve a second successive promotion to reach La Liga for the first time in its 74-year history. The club had to raise over 1.7m euros, more than four times their capital, to enter Spain's top flight. But with five games to go in their debut season, Gaizka Garitano's side are two points above the relegation zone and in with a shout of extending their fairytale stay. Trainer Willie Mullins is being tipped to dominated the five-day Punchestown Festival which begins in Ireland this afternoon. The opening race at 15:40 is named in memory of the local punting priest Father Sean Breen, with the Mullins-trained Champagne Fever favourite for the feature race - the Boylesports Champion Chase - at 17:30. Lee Parkinson: Completely agree with protests ,@HullCity cashing in on it being @LFC if you're in @premierleague should be same price for all. Iwan Jones: What if an amateur club charged £9 rather £3 when playing a team with bigger support, nobody would pay and rightly so? Rick Kay: If Hull are charging £50 for the Liverpool game, how much do they charge to fans of big clubs? Jockey Richie McGrath has been cleared of corruption after a British Horseracing Authority disciplinary hearing. Conspiracy charges against the rider, who won the Scottish Grand National in 2003 on Ryalux, have been dismissed. He was found in breach of a much less serious rule regarding the schooling of horses in public, which normally carries a suspension of somewhere between 10 and 18 days. Good news for Stuart Bingham, who holds his nerve to edge a very tight second frame of his World Snooker Championship quarter-final with Ronnie O'Sullivan. O'Sullivan - who raced through the opener to go ahead - looked like nicking the second after hitting back following a break of 64 by Bingham. But a couple of missed pots by the Rocket cost him and Bingham eventually sunk brown and blue to claim the frame and level the match. Long way to go yet - it's best of 25 - but given the way Ronnie began, you sense that was an important frame for Bingham to win. All square, game on. The Leeds owner has played down claims that he wants Jimmy Floyd Hasselbaink to be the club's next head coach, dismissing the link as "just more talk." Burton have already secured promotion from League Two under one-time Leeds striker Hasselbaink, while current Elland Road manager Neil Redfearn's contract ends after the clash with Rotherham at the weekend. Asked about Hasselbaink, Cellino said: "It's just more talk. Forget it." Cellino to make Leeds comeback? Cellino's ban from having any executive influence at Leeds does not expire until 3 May but the Football League has confirmed it has authorised Cellino to attend as long as he does so as a spectator. Yorkshire Evening Post: "I don't know. I haven't decided. The Football League say I'm allowed to go but I don't know what I'll do. Liverpool manager Brendan Rodgers says he respects the rights of Reds supporters to protest against the £50 price of a ticket for tonight's Premier League match at Hull. Rodgers said: "Like everything in modern football, I respect the supporters' right to protest. 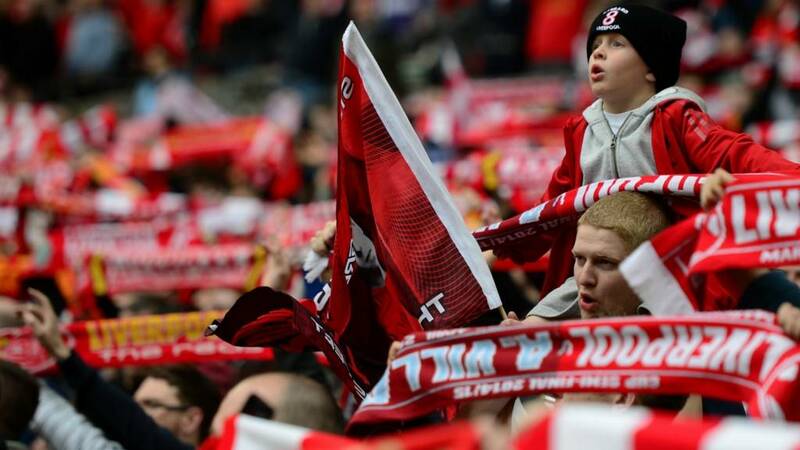 I don't know so much about it but supporters nowadays have to work very hard to get the money to go to football games." England captain for the one-day international against Ireland in May. Ronnie O'Sullivan begins his World Snooker Championship quarter-final with a 114 clearance and leads 1-0.
pleaded guilty to reckless driving after hitting and injuring a cyclist with his car in Sydney. The Russian government will bring in tough restrictions on the number of foreign players in the country's top soccer league in order to develop home-grown players for the 2018 World Cup. His comments come after a bill allowing the sports ministry to limit foreign players in team sports passed the first of three readings in the lower house of parliament last week. Current Russian league rules allow clubs to field up to seven foreigners at any time, which Mutko said was crowding out Russian talent. Ronnie O'Sullivan is clearly not messing around today. Frame number one of his quarter-final has passed more quickly than the time it takes to say 'blimey, Ronnie's playing well'. The Rocket lived up to his name, potting a long-range red and making a 114 clearance in double-quick time, only halted when he missed a tricky green. Stuart Bingham has only had one shot so far - the break. Jon Mairs: Fair ticket prices should be set by the FA. Away end ticket prices should take into account the distance fans have to travel. Eddie Howe says seeing his Bournemouth side on Match of the Day next season will be 'beyond his wildest dreams'. After the Cherries sealed promotion (barring a 20-goal swing ... which we have to keep writing despite the fact that there's about as much chance of it happening as there is Jose Mourinho admitting Chelsea are boring), Howe said Saturday nights next season will feel odd. "I come from the era where Match of the Day was the only real football programme of my generation," he explained. "Growing up it was what everyone stayed up to watch. "To see Bournemouth on Match of the Day will be something I never imagined would be possible." It is Ronnie time in the snooker World Championship. The Rocket is in the quarter-finals and about to get stuck into his match against fellow Englishman Stuart Bingham. Also this afternoon, England's Barry Hawkins takes on Australian Neil Robertson. Petra Kvitova will play at the Aegon International in Eastbourne in June. The 25-year-old lost the first match of her return to the WTA Tour last week, after a six-week break for exhaustion. "From the first round, every match is tough which makes it the perfect warm-up event in the week before Wimbledon," said the Czech, who won her second Wimbledon title last summer. The 2015 Wimbledon singles champions will win £1.88m, an increase of £120,000 on last year - while the overall prize fund at the All England Club will rise from £25m to £26.75m, a 7% increase year on year. Courts 14 and 15 will come back into use after being re-laid following development works, bringing the total ground capacity at SW19 to 39,000, compared to 2014's 34,000. And use of Hawk-Eye has been extended to courts 12 and 18. That means the technology will be in action on six courts across the championships, which run from 29 June to 12 July. could clash over plans to let season ticket holders into play-off matches at Ibrox for nothing. The SPFL prohibits clubs from allowing fans free entry to end-of-season games. With 50% of gate money from each play-off game due to the SPFL, up to three home ties at Ibrox would generate hundreds of thousands of pounds to be shared out among all member clubs. But allowing around 25,000 fans in for free would greatly diminish that sum. Champions League-chasing Liverpool and relegation-threatened Hull face each other in a huge game for their respective aims at the KC Stadium tonight. However, the issue of ticket prices is threatening to overshadow the match, with hundreds of Reds fans expected to boycott the game and protest outside Anfield over Hull's decision to charge £50 for away tickets. Tickets for the same game last season were £35, while Stoke fans had to pay just £16 to watch their side face Hull at the KC. We want to know your thoughts on this issue. What do you think of Hull's pricing? Are you backing the protests? What do you think is a fair price for a ticket to watch your team? Send your thoughts via Twitter using the hashtag #bbcsportsday. With Bournemouth up the Premier League, manager Eddie Howe has been getting the plaudits with even Gary Lineker wondering "whether we've possibly found the English 'special one". So let's have a quick look at Howe's credentials. RECORD: Howe took over aged 31 in January 2009 in a season in which the club had been deducted 17 points. He kept them up and then oversaw automatic promotion the following year despite a transfer embargo. After a brief spell at Burnley, he returned to Dean Court to win promotion to the Championship in 2013. PERSONALITY: Howe comes across as a humble, easy-going and thoughtful. Behind that is a clearly a very intelligent person who has a talismanic effect on his players. His captain Tommy Elphick has suggested he "deserves a knighthood" for what he has done for the club. RELATIONSHIPS: Appears to have a very harmonious one with chairman Jeff Mostyn, and hands-off owner Maxim Demin. He has also been open with fan and has been compared to Jurgen Klopp, whose bond with fans and club at Borussia Dortmund was also strong. TACTICS: Howe's style of play has won almost universal praise. He advocates an attractive, attacking game and the 112 goals in all competitions his team has scored this season underlines that. He does, of course, have a long way to go before emulating Mourinho, but, at 37, he's certainly made a decent start. Bournemouth chairman Jeff Mostyn, whose club are on the verge of confirming their promotion to the Premier League: "[Manager] Eddie Howe is going nowhere. I have said his ambition is to manage a team in the Premier League and when that happens it will be with AFC Bournemouth. Short of a catastrophe at Charlton we will be in the Premier League and Eddie Howe will be with us as our manager." James Taylor, who will captain England in an ODI against Ireland on 8 May: "To be given the opportunity to lead your country is a huge honour. There are still some very experienced and talented cricketers in that team who I'd have been delighted to have as my captain, so it is a privilege and one I'm going to relish. It's going to be brilliant leading an England team in a one-day international. We know it will be a tough game against Ireland and this match provides a great chance for us all to show we can play a huge role in limited overs cricket in years to come." Kent were forced to follow-on as Lancashire made easy work of their tail in the opening session of the third day at Old Trafford. Sam Northeast, 48 overnight, passed his half-century off 109 balls with six fours but fell to the in-form Kyle Jarvis as he hooked a bouncer to Peter Siddle. Simon Kerrigan claimed his second wicket of the match as Adam Riley edged the spinner to Paul Horton as Kent were bowled out for 252, trailing by 192 runs. However, openers Daniel Bell-Drummond and Joe Denly safely saw off the the hosts bowlers, as they began their second innings, for the rest of the morning as they look to avoid a heavy defeat. "Gloucestershire will have to bat for the best part of two days to save the game as at lunch on day two they need a further 223 to avoid an innings defeat. "Derbyshire batted on for a further 40 minutes before eventually declaring when they lost Harvey Hosein for 61, caught behind off Liam Norwell. "It was deserved reward for the bowler, who plugged away on day two without success when Martin Guptill was blazing the ball to all parts." Leicestershire's hopes of a first Championship win since 2012 were frustrated by Grace Road old boy Josh Cobb and Rob Newton on the third morning. Three wickets left Northants on 142-5, just 88 ahead, but Cobb was dropped as he and Newton shared an unbroken stand of 49 before lunch. The visitors will resume on 191-5, with Newton 46 not out and Cobb on 21 and the match intriguingly poised. "It has been a hard morning in the field for Durham in a stiff and chilly breeze, but their patience has been rewarded with three wickets. "At lunch Sussex were 235-6, with Ben Brown and Matt Machan (80) departing in the run-up to the break. "Machan put on 62 for the fourth wicket with Harry Finch, who was caught behind for 22, and was then out lbw to a snorter from Usman Arshad which never got up off a length. "It ended a partnership of 57 for the fifth wicket with Luke Wright, who will resume after lunch on 31." "Somerset have assumed a strong position at lunch on the third day, reaching 77-1 in the second innings to lead by 168. "Middlesex added only 11 runs to their overnight score of 306-7, but were hampered by a sore upper back for Tim Murtagh, which has prevented him batting or bowling so far today. "The pitch appears to have settled down from a lively start on the first day, but rain could aid aid the visitors if they cannot induce a collapse similar to Somerset's first innings." England ODI squad to face Ireland on Friday 8 May: James Taylor (c) (Nottinghamshire), Zafar Ansari (Surrey), Jonathan Bairstow (Yorkshire), Sam Billings (Kent), Tim Bresnan (Yorkshire), Steven Finn (Middlesex), Lewis Gregory (Somerset), Alex Hales (Nottinghamshire), Jason Roy (Surrey), James Vince (Hampshire), David Willey (Northamptonshire). "A productive morning for Nottinghamshire's bowlers saw Hampshire struggle through to the lunch break on 248-8, still 123 runs behind. "Having begun the day on 167-4, the home side seemed in danger of not reaching the follow-on mark as Will Gidman, Luke Wood and Steven Mullaney each bagged an early wicket and the second new ball enabled Vernon Philander to remove Danny Briggs, as Notts increased the pressure. "Sean Ervine had a charmed life, being bowled from a no-ball and also given not out after a confident stumping appeal, but remained unbeaten on 26 at the interval, with Andre Adams on 14 against his former county." "A watchful half century from Yorkshire skipper Andrew Gale has put his team within 64 runs of avoiding the follow-on. "His stoicism has been required as both Jack Leaning and Andrew Hodd perished attacking short balls from Boyd Rankin on a still bland pitch. "The draw remains the likeliest outcome." Jamie Saczak: Premier League fairytales? Blackpool. Shoe-string budget. Wonderful man-manager. Oh, and we beat Liverpool (twice!). Caolan: Once took a Segunda División B to the La Liga on Football Manager 2014 was the proudest day of my Football Manager career. Doddfather93Official: Crewe Alexandra spent years bottom of fourth division, recent seasons in Championship/League 1 have been real achievement. "Quite a morning for Daniel Lawrence. At 17 years and 290 days he became the youngest Essex batsman to score a Championship hundred when he drove Zafar Ansari elegantly to the cover boundary. "The milestone had arrived from 146 deliveries and thanks to his efforts the visitors are batting themselves into a strong position. "At lunch, Essex lead by 76 and Surrey have a few problems keeping the young man quiet." German football had its own fairytale story in 2008 when Hoffenheim, hailing from a village of the Sinsheim municipality in Baden-Wurttemberg (population 3,000), capped a remarkable eight-year rise from the fifth tier of German football to earn promotion to the Bundesliga in their first season as a professional club. They did not stop there, though, and in their debut top-flight season, playing attacking football under the management of Ralf Rangnick, backed by billionaire Dietmar Hopp, and with a team comprising largely other clubs' cast-offs, they competed with giants Bayern Munich and Borussia Dortmund and emerged as Herbstmeister, or autumn champion - meaning they led the table at the halfway stage. They would eventually finish seventh that season but have remained in the Bundesliga since. Essex batsman Dan Lawrence has become one of the youngest batsmen to hit a County Championship century after reaching three figures on the third morning against Surrey at The Oval at the age of 17 years and 290 days. It is believed that Kent's Godfrey Bryan is the youngest player to score a Championship hundred in 1920, aged 17 years and 245 days, followed by Worcestershire's Dipak Patel, who was 17 years and 270 days when he did so for Worcestershire in 1976. The votes are in. We asked you whether you think Bournemouth have what it takes to survive in the Premier League next season and here is how you voted. It was very close, but a slight majority of you think Bournemouth will go straight back down. Now it's up to Eddie Howe and his boys to prove the great British public wrong. An update on the plight of Sporting Lokeren defender Gregory Mertens, who collapsed yesterday during a reserve game for the club. in an induced coma in a Genk hospital on a life support machine. "Sporting Lokeren sympathises with the family and hopes for a positive outcome," read a club statement. The morning session has come to an end at the World Snooker Championship in Sheffield, and it's been a pretty good one for Judd Trump. The 2011 finalist went 6-0 ahead in his best-of-25 frame quarter-final against Ding Junhui, though the man from China hit back late on to take the last two frames and give himself hope of mounting a fightback. In the other morning match, Scotland's Anthony McGill is level with 2005 champion Shaun Murphy 4-4 in what has been a tight affair thus far. Next up, starting at 14:30 BST, Rocket Ronnie O'Sullivan takes on Stuart Bingham, and Aussie Neil Robertson - who is looking in mighty fine form - faces Barry Hawkins. Football fairytales are not confined to these shores, of course. Smaller clubs have risen to prominence in leagues across the globe. One of the most famous examples is Italian club Castel di Sangro. Founded in 1953 in the Province of L'Aquila, Abruzzo, which has a population of just 5,500, they began in the Terza Categoria, the ninth tier of Italian football, where they remained for 30 years. From 1983 to 1989 they rose rapidly to reach Serie C2, the fourth tier. Their greatest moment came in 1996, though, when they achieved promotion Serie B and then embarked on a remarkable, controversial and tumultuous season (which is too long a tale to relate here), during which they were bottom of the table for most of the season but avoided relegation by beating Pescara in their penultimate game. The next season they were relegated - their first demotion in any league since 1983. Barring a good run in the 1999 Coppa Italia, they never hit the same heights again and ceased to exist in 2005. The 43-year-old appeared in a Sydney Court to face charges over the incident which occurred in the city's central business district last May. The former Australian goalkeeper had become involved in a dispute with a cyclist over lane positioning. According to court documents seen by the Sydney Morning Herald, Bosnich wound down his window and told the cyclist: "Champion you gotta pull a little to the left, you can't keep to the middle of the road" - before a disagreement ensued. Bosnich will be sentenced on 9 June. Bangladesh are 236-4 at stumps on the opening day of the first Test against Pakistan in Khulna. Mominul Haque was trapped leg-before by Zulfiqar Babar off the last ball of the day for 80, leaving Shakib Al Hasan unbeaten on 19. Bangladesh lost openers Tamim Iqbal (25) and Imrul Kayes (51) either side of lunch before Mohammad Mahmudullah (49) and Mominul added 95 for the third wicket. The match is the first of a two-Test series. deserves to start for England at this summer's Women's World Cup, according to the Blues manager Emma Hayes. The in-form midfielder, 32, scored the only goal of the game as league leaders Chelsea beat Birmingham City on Sunday. "It was a masterful performance from Katie," Hayes told BBC Sport. "She is so important to the team. "She should be starting for England in that position. I don't think there's anybody better in this country." Geoff Naylor: Blackburn's success story can't match Forest's. Promoted, League champions and European Cup winners. And then EC winners again. Heather Coe: Hull City going up in 2008, it took 104 years to get in to the top league. Now then, anyone got $50,000 spare? Excellent, in that case you can book a hotel room at Caesars Palace in Las Vegas to retire to after the Floyd Mayweather-Manny Pacquiao showdown (though obviously flights and tickets for the fight cost extra). this video to see what you get for your money, which, by the looks of it, includes two very nice fluffy bath-robes. After 109 years, Barnsley gained entry to English football's elite division for the first time in 1997 with a 2-0 win over Bradford in the penultimate game of the season. "It's just like watching Brazil" sang the Tykes fans to Danny Wilson's side, who aspired to an attacking, stylish way of playing. Unfortunately for them, their top-flight opponents were ruthless and Barnsley were immediately relegated after finishing 19th in the Premiership, five points adrift of safety. They did knock Manchester United out of the FA Cup, though. Premier League fairytales via #bbcsportsday. Norwegian teenage sensation Martin Odegaard could make his first appearance for Real Madrid when the European champions host Almeria on Wednesday. signed for £2.3m from Stromgodset in January, has been included in Carlo Ancelotti's squad for the first time. So far his time with the first team has been limited to training sessions, but he has played for the reserve team in the third tier of Spanish football. "Tomorrow in the squad there will be three youth team players and they could get an opportunity to play," Ancelotti said. Madrid will again be without the injured Gareth Bale, Karim Benzema and Luka Modric, while Dani Carvajal and Sergio Ramos sit out due to suspension. Most relatively small budgeted clubs are grateful for one shot at the big time in this big-money modern football era. Burnley have had two - the second of which they are currently fighting to preserve. As recently as 1987 - during a seven-year spell in the lowest tier of the Football League - they narrowly avoided relegation to the Conference. In 2009-10 they were back in the top-flight, albeit only for one season under the management of Owen Coyle (who left for Bolton in January and was succeeded by Brian Laws). Despite losing many of the stars who got them promoted the first time, Sean Dyche rebuilt and got them back up in 2014. They have their work cut out if they are to avoid an immediate return to the Championship again as they are currently bottom of the table and five points adrift of safety. VOTE: Will Bournemouth stay up? And so, with Bournemouth basking in the warm glow of success, we thought we'd bring them down to earth with a brutal question: will they stay up? We'd like you to vote "yes" or "no" by clicking on the buttons at the top right of this page. The vote will run from 12:00 until 13:00 BST and we'll reveal the result shortly afterwards. What are you waiting for? Cast your vote now. 6-0 Crucible lead in his quarter-final with China's Ding Junhui at the World Snooker Championship. Tennis: The overall capacity at Wimbledon will increase by 5,000 to 39,000 at Wimbledon this year, while the total prize money on offer will increase by 7% to £26.75m. Heard about the 25-year-old Scot on the verge of becoming a Champions League winner? Meet Calum Mallace, whose Major League Soccer side Montreal Impact face Mexican outfit Club America in Wednesday's CONCACAF Champions League final second leg. Mallace left Scotland at the age of nine after his father's work took him to Minnesota with a top manufacturing firm. full story is here - it's well worth a read. James Cracknell: Surely the greatest Premier League fairytale was Ipswich Town finishing 5th and qualifying for Europe in their first year up! Lauren: Watching Chelsea beat Wigan 8-0 and win the league on my 18th birthday. Best present ever! Daily Express: Arsenal will look to make Barcelona's 27-year-old Spanish forward Pedro their first signing of the summer with a £24m bid. Blackburn were far from top-flight novices prior to their promotion in 1992 but, from 1966, the mill town experienced a 26-year exile from the elite. A defeat in the 1989-90 Second Division play-off semi-finals was followed by the takeover of local steelworks owner and lifelong supporter Jack Walker, who, along with manager Kenny Dalglish, oversaw Rovers' transformation into Premier League champions in 1995, three seasons into their top-flight tenure. Fourth, second and top in their first three seasons. Good luck beating that Bournemouth! Meanwhile today's quarter-final action is already under way at the Crucible. 2005 champion Shaun Murphy leads Scotland's Anthony McGill 3-1, while 2011 finalist Judd Trump has made a terrific start against China's Ding Junhu and leads 4-0. Later on today (at 14:30 BST), Stuart Bingham begins his World Championship quarter-final against five-time champion Ronnie O'Sullivan. County champions Yorkshire have work to do on day three of their home game against Warwickshire at Headingley, resuming on 128-3 in reply to the visitors' 435 all out. Leaders Sussex are 115-3 in their second innings against Durham at Chester-le-Street, 11 runs ahead, while Hampshire need another 54 runs to avoid the follow-on against Notts at the Ageas Bowl, having ended day two on 167-4. Somerset will be looking to polish off the Middlesex tail quickly at Taunton, with their opponents 102 runs behind on 306-7. Pace bowler Lewis Gregory has the chance of five wickets in the innings after claiming 4-93 so far. The Sun: Newcastle are preparing for a summer exodus of players with Ivory Coast midfielder Cheick Tiote, Senegal striker Papiss Cisse, Dutch goalkeeper Tim Krul and French midfielder Moussa Sissoko among 14 stars that could be leaving St James' Park. Blackpool won the 2010 play-off final over Cardiff to clinch a top-flight place for the first time since 1971. Achieved on the lowest wage bill in the Championship, it was witnessed by one of the smallest average attendances in the division and masterminded at a dilapidated training ground still in use since the days of the legendary Stanley Matthews. Ian Holloway's attacking side so nearly continued the dream by staying up but were relegated on the final day. And they were close to returning the following season. The less said about what has happened since, the better. Harry Redknapp has just been on Radio 5 live talking about the success of his old club Bournemouth. Redknapp, manager at Dean Court for nine years from 1983 (famously guiding them to an FA Cup third round win over then holders Man United), is full of praise for the achievement of Edie Howe and his players. "They look a great bunch of lads, they are a credit to the football club, and I think they have done amazingly well," he said. "They will be a pleasure to watch next year, they will attack, have a go at everybody. They will play with two wingers. The football they play is breathtaking and they are a pleasure to watch. "It is an amazing story and everybody involved with that club deserves enormous credit." Martin Guptill's brilliant 227 has given Derbyshire the upper hand against Gloucestershire at Bristol and they will start the third day on 511-8, with an already healthy a lead of 236. Meanwhile, Kent have work to do to save the follow-on against Lancashire at Old Trafford, having struggled to 214-7 on day two, a deficit of 230 runs. Essex will be looking to establish a first-innings lead against Surrey when they resume on 266-2, after Nick Browne's career-best 143, while Northants lead by 51 at Grace Road after closing on 105-2 in their second innings against Leicestershire. Wigan only joined the Football League in 1978 and, in 1994, finished fourth from bottom in the lowest tier with average crowds below 2,000. Former Blackburn and Crewe player and local businessman Dave Whelan changed all that. He bought the club in 1995 and 10 years later they were in the Premier League. The Latics took to Premier League life easily under Paul Jewell and spent much of their first season challenging for European football. They stayed in the top flight for eight seasons, until relegation to the Championship in 2013, shortly after winning the FA Cup. Willie Kirk as their new head coach. The Sun today suggests Real Madrid could swap Welsh forward Gareth Bale for Chelsea's Belgian playmaker Eden Hazard. We'll see what Blues boss Jose Mourinho has to say about that, but it could be one to keep an eye on. Rio Ferdinand on Twitter: Congrats to Bournemouth on promotion to the Premier League. Fairytale stuff. Bet the players aren't washing their kit like they were when I loaned there! The second season of the Premier League in 1993-94 gave us a top-flight debutant in the shape of Swindon Town, who charged through the Football League during the late 1980s and early 1990s (with a brief delay courtesy of a one-division demotion for financial irregularities in 1990). A 4-3 win over Leicester in the play-off finals gave them what would turn out to be their one and only top-flight season, with John Gorman taking the managerial reins after Glenn Hoddle departed for Chelsea. They won only five league matches, conceded a record 100 goals and were relegated. Striker Jan Aage Fjortoft didn't score before Christmas but bagged 13 in his last 17 games. If only the Norwegian had started scoring earlier. Good news for tennis fans in this country - reigning Wimbledon champion Petra Kvitova has signed up to play at the International Eastbourne tournament. Kvitova, the Czech world number four, reached the quarter-finals at Eastbourne last year before going on to win her second title at the Championships. The Eastbourne event begins on 22 June. Emma Turner: 5 May 2001 Derby away at Man Utd and beating them 1-0 on my 12th birthday plus my first ever away game. Ben Whetton: Blackpool beating Wigan 4-0 on the opening day and going top of the league, if only for a couple of hours..
Luke Godfrey: Liverpool vs Watford 2000 - glory horns winning 1 nil away courtesy of Tommy Mooney. The American shot to worldwide fame when he came from nowhere to win the PGA Championship in 1991. And we mean came from nowhere. Daly was the ninth reserve for the tournament and, when Nick Price dropped out days before the start of play, only got in because the eight other reserves could not make it to Indiana's Crooked Stick Golf Club in time. The reason for mentioning this? Daly, who went on to win another major - the Open, in 1995 - celebrates his 49th birthday today. Happy birthday also to former England and Middlesex cricket captain Mike Brearley (73), former Inter Milan and Italy goalkeeper Walter Zenga (55), and Britain's first Tour de France winner Sir Bradley Wiggins (35). Imagine having a plane with your face on? Manny Pacquiao doesn't need to - he's got one. This specially decorated AirAsia Philippines Airbus touched down in Las Vegas today, full of boxing fans who have travelled to cheer on their hero in Saturday's super-fight with Floyd Mayweather. Bangladesh won the toss and opted to bat against Pakistan on the opening day of the first Test in Khulna today. It seems to have proved a wise decision, with the tourists on 150 for two at tea - Mominul Haque was unbeaten on 35 and Mohammad Mahmudullah on 31, the pair putting on 58 runs for the third wicket. Keith Emmerson: Shared student flat in Glasgow with Bradford fan. Local pub let us in early to watch them beat Wolves to win promotion in '99. Murf: Little Wigan's eight seasons and two cup finals, winning one of them. Harry Brown: When West Ham beat United 1-0 with that superb Carlos Tevez goal to ensure survival and and send Sheffield United down! Frank Williams has no plans to retire from the Formula One team he founded in 1977 and is under no pressure to do so, his daughter has insisted. Williams, winners of nine constructors' and seven drivers' titles between 1980 and 1997, yesterday announced a loss of £42.5m in 2014. "Frank is team principal. Always has been and always will be until we find him one day face down on the desk," said daughter Claire, the deputy team principal. Now 73, Williams has been in a wheelchair since a road accident in southern France in 1986 and spent some time in hospital last year for treatment to a pressure sore. Dillyn Featherstone: He clearly saved before every game and loaded it up every time he lost. Callum Bannister: I took Woking to the Champions League in six seasons. Stuff like that doesn't get unnoticed. Harry Dean: Clearly edited his database and put all his players attributes to 20. Andy Metcalfe: Championship Manager? Completed it, mate. We're guessing Howe's summer shopping list won't include Julius Aghahowa, Mark Kerr, Ibrahima Bakayoko, Cherno Samba and Kennedy Bakircioglu. Top seed Rory McIlroy has not got it easy at this week's WGC Cadillac Match Play Championship in San Francisco. The world number one has been grouped with three highly-rated Americans. The draw put McIlroy up against reigning FedExCup champion Billy Horschel, seven-times PGA Tour winner Brandt Snedeker and major champion Jason Dufner in a tournament which starts tomorrow. not to shake hands with TV personality Piers Morgan. Gunners fan Morgan revealed Ramsey - who he once labelled "a liability" - snubbed his offer of a handshake after Sunday's Premier League game against Chelsea. "Piers was pretty vitriolic.," said Wright. "He's very vocal about Arsenal and I thought Aaron was well within his rights." It's the morning after the night before for Bournemouth fans and I'm sure there are one or two sore heads on the south coast this morning. With their 11,700-seat stadium, Bournemouth are one of the smallest clubs to ever reach the Premier League (barring that 20-goal swing of course), but what does history tell us about how they will get on? fantastic feature about Blackpool, Barnsley, Swindon and what happened to some of the other minnows to grace the top-flight. Right, now unless you're house has no electricity, or you are a practicing monk, you're probably aware that there is a big fight happening this weekend. Floyd Mayweather faces Manny Pacquiao in Las Vegas on Saturday in a bout expected to be the richest in history. And Mayweather has been going all retro in his preparations, revealing that he opted for Rocky Balboa-style "throwback training". Here's a pic of him chopping said wood. here's the full article for your perusal. Here's an interesting one. Justin Rose deserves to be on the next honours list, or at least that's the argument of the BBC's golf correspondent Iain Carter. fascinating piece on the BBC Sport website today, Carter says Rose is "not only a brilliant golfer, but one of the strongest competitors in the game". "Britain should be very proud of a man who has become an exemplary champion; a superb ambassador off the course and a ruthless and feared competitor inside the ropes," adds Carter. "That it has not been formally recognised appears an erroneous anomaly in need of correction." After being without a sponsor for the last two seasons, things could be set to change in Scottish Football next season. told BBC Scotland that "talks are ongoing" to secure a new backer for the four divisions. They say they are "hopeful of an announcement being made in time for next season." Roman Abramovich was among the spectators as Chelsea retained the FA Youth Cup with a 5-2 aggregate win over Manchester City at Stamford Bridge. The Blues, who had led 3-1 from the first leg, reached the final by overcoming Tottenham, Newcastle United and Swansea City in a tournament which started with 456 teams in September. As well as main man Abramovich, the club's technical director Michael Emenalo and chairman Bruce Buck were also in the stands to see under-18 team manager Joe Edwards win the trophy in his first season since stepping up from taking charge of the under-16s. 1984: Clive Lloyd became the first West Indian to play in 100 Test matches as the fifth Test against Australia got under way in Jamaica. 1998: West Brom terminated the contract of defender Shane Nicholson following his admission of a drugs misconduct charge at a Football Association hearing. 2006: Portugal coach Luiz Felipe Scolari withdrew from the race to become England manager. Steve McClaren eventually took over following the departure of Sven-Goran Eriksson. 2007: Australia won an historic third cricket World Cup in a row, defeating Sri Lanka by 53 runs on the Duckworth-Lewis method in Barbados. It was on this day in 1923 that Bolton and West Ham turned up at Wembley to contest the first ever FA Cup Final. The official attendance was 126,047 but it is estimated more than 200,000 were in the ground (judging by the photo below, there were even people on the roof). Famously, a single policeman on a white horse kept the crowd back from the pitch. Bolton, by the way, won the game 2-0. Amid all the footballing joy this morning, there has been some sobering news emerging from Europe. Belgian footballer Gregory Mertens is in hospital after collapsing during a reserve-team game for his club. Belgian newspaper HLN has reported that Mertens, a 24-year-old defender for Sporting Lokeren defender, suffered a cardiac arrest and received CPR on the pitch during the first half of Monday's game with Genk. Chelsea keeper Thibaut Courtois and Everton striker Romelu Lukaku, both Belgium internationals, have tweeted their support for Mertens, saying: "Keep fighting Gregory". "Bournemouth - home to pensioners, piers, pantos and, from next season, Premier League football." So starts a rather fine feature by BBC Sport's Nabil Hassan, who has taken an in-depth look at the Cherries success and what promotion will mean to the town. It includes the thoughts of Gerald Krasner, who was appointed as the man tasked with saving the south coast club when it had debts of around £4m six years ago. "There was one press conference at 12 o'clock when, at five to 12, I didn't know if I had the money to continue trading," Krasner said. "I came within five minutes of liquidating the club." Given what's happened since, it's like the script of a Hollywood film. And a particularly corny unbelievable one at that. Eddie Howe described the club as being "on its knees" six years ago. "We had nothing. A group of supporters put their money in their pockets to keep the club alive and they are reaping the rewards," said Bournemouth's hugely-respected young manager. "It is the club I watched as a kid, the club that gave me an opportunity in the game as a player and a manager. "It shouldn't be them thanking me, it should be me thanking them. It is a family club and deserves its moment in the sun." Howe, 37, became manager six years when he had to quit playing following a serious injury. All hail Bournemouth. Talk about fairytale stuff. The Cherries were at the foot of League Two six years and so hard-up they were in danger of going out of business. Fast forward to this morning and they are celebrating promotion to the Premier League, for the first time in the club's history, and a £130m windfall. Wowzers. Eddie Howe's side secured top-flight football in style at Dean Court with a 3-0 win over Bolton, with sparked a joyous pitch invasion at the end of the game. There is also plenty else going on today, including Ronnie O'Sullivan in quarter-final action at the World Snooker Championship in Sheffield. He faces Stuart Bingham at the Crucible, with the action starting at 14:30 BST and with coverage across the BBC. Rotherham play Reading later in the Championship. The Millers can relegate Wigan and Millwall by beating Reading. Over in League One, Colchester can move out of the relegation zone by beating Swindon. There is a huge game in the Premier League tonight (19:45 BST), when Hull - still in relegation trouble face a Liverpool side whose hopes of Champions League football next season are over. Off-the-pitch, the game has already caused a bit of a furore with many Liverpool fans boycotting the match in protest at the cost for away fans at Hull - £50. There are also protests planned at Anfield, Hull and in London. And in the Daily Express... the Newcastle fans who claim they were threatened by manager John Carver have been invited to meet him (oh to be a fly on the wall during that get-together), while the paper also reckons Andrew Strauss is the big favourite to replace Paul Downton as England's new director of cricket. Something a bit different in The Mirror, which claims Manchester City are lining up a £30m summer offer for Arsenal midfielder Jack Wilshere. More Mourinho on the moon comments in The Sun, though the most eye-catching story on its back page is a suggestion that Real Madrid may offer Gareth Bale to Chelsea in a swap for Eden Hazard. One to watch perhaps? The Guardian reports that the judge who conducted the inquiry into the Bradford City fire - Sir Oliver Popplewell - has defended his initial inquiry into the disaster in which 56 people died. As well as obligatory Bournemouth picture, there is also a story over a possible move in the cricket world to set up a rebel league. The growing use of statistics and analysis will lead to "the football they play on the moon", says Chelsea boss Jose Mourinho in The Independent - which comes as a shock as I wasn't aware they had an organised football league on the moon. You learn something new every day. Amid all these accusations of being boring, Chelsea gaffer Jose Mourinho claims owner Roman Abramovic loves the way his team play the football. The Daily Star also focuses on Daniel Sturridge's continuing injury problems at Liverpool. A bit more Bournemouth in the Daily Mail, plus a cheeky little dig at Arsenal from Chelsea captain John Terry, who says Arsene Wenger's Gunners will never win the title again if they continue playing "tippy-tappy" football - or, as the rest of us call it, attractive, passing football that is pleasing on the eye and great to watch. All Bournemouth in the Daily Telegraph, a huge picture of the Championship club's promotion success. What a night it was for Bournemouth, who, barring a 19-goal swing (which obviously ain't going to happen), will compete in the top flight of English football next season for the first time in their history. They beat Bolton 3-0 last night to all but clinch promotion from Championship to the Premier League - just six years after being at the foot of League Two and almost going out of business. It's no wonder they're celebrating.